When is Pancake Day 2020? In the Christian tradition, Pancake Day, also called Pancake Tuesday, Shrove Tuesday, Fat Tuesday and Mardi Gras (which is French for "Fat Tuesday"), is the last day of feasting before Lent begins on the following day, Ash Wednesday. It's called so due to the custom of eating pancakes on this day, a tradition that comes from a time when any remaining rich foods were eaten on the day before Lent to use them up, and fasting begins. It's observed mainly in English-speaking countries, especially Ireland, the United Kingdom, Australia, New Zealand, Canada and the United States, but also in the Philippines and Germany. Pancake Day is a moveable feast whose date is determined by Easter, and it's celebrated exactly 47 days before Easter Sunday. 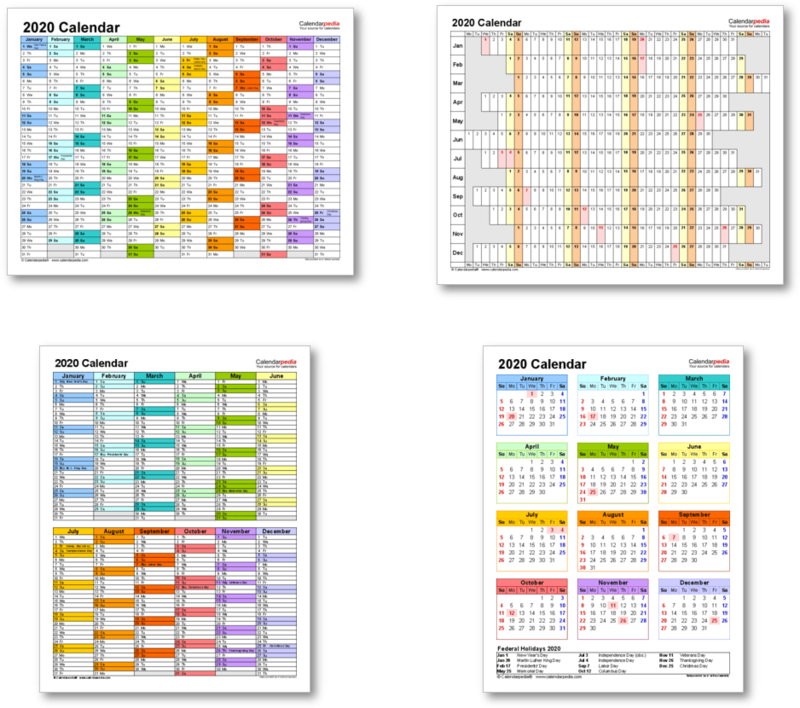 The date can vary from as early as February 3rd to as late as March 9th. 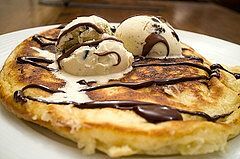 For detailed information on Pancake Day see Wikipedia's entry on Shrove Tuesday. N.B. : The Pancake Day of the Christian tradition is not the same as "IHOP Free Pancake Day" (formerly known as "National Pancake Day"), a commercial event created by IHOP ("International House of Pancakes"), an American chain of pancake restaurants. On this day, held annually on the second Tuesday in March, free pancakes are offered to customers in exchange for a donation to charity. IHOP Free Pancake Day 2020 will be held on March 10, 2020. 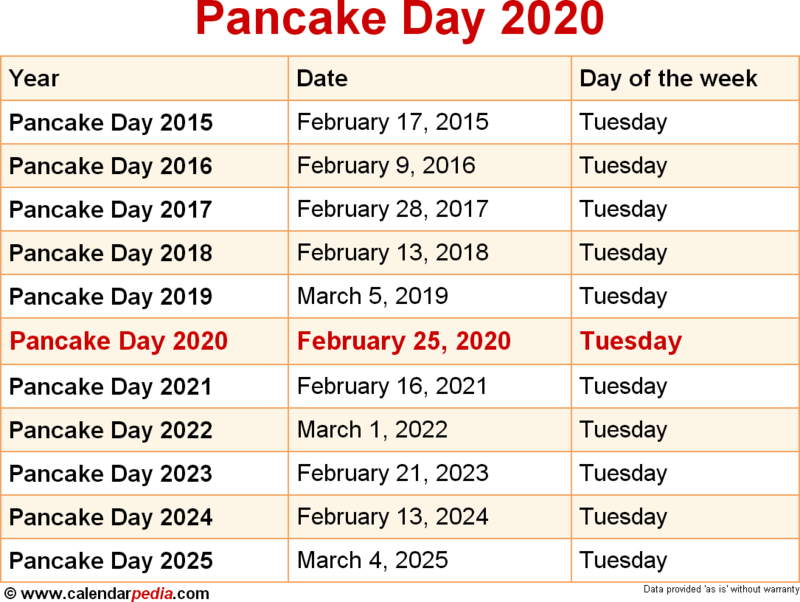 When is Pancake Day 2021? The next occurrence of Pancake Day is marked in red.